In the United States, there is an estimated 30-35,000,000 million people affected by eczema: 1-3% of adults and 10-20% of all children. Eczema is a general term used to describe a group of skin conditions caused by inflammation, such as atopic dermatitis or heat rash. 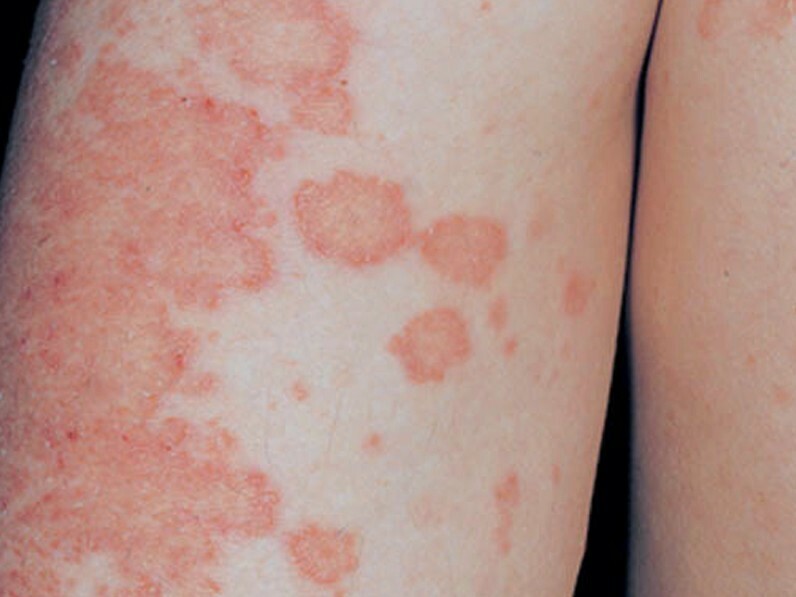 The cause or trigger can be obvious or obscure, for those with the predisposition to develop eczema. An obvious cause or trigger can be due to the inflammation and immune reaction created by drinking cow’s milk or eating wheat/gluten, as well as many others (soy, egg, nuts…). A more obscure cause can be when one developments biofilm from staphylococcal bacteria, which are normally found on the skin. In the human body, biofilm colonies are the main reason that certain conditions take so long to get handled. In my opinion, if it were not for “biofilm”, conditions caused by the microorganisms – Candida albicans, Candida spp, H. pylori, Lyme bacteria (Borrelia burgdorferi) and many others, would be far easier to diagnose and/or treat. It is crucial in any treatment protocol to first handle the biofilm. By doing so, it will make a significant difference in the amount of time, money and effort spent on treating many, so called, stubborn conditions – like eczema. My topical biofilm protocol has worked on about 65% of my patients. I only recommend this protocol for stubborn areas that do not respond completely to a comprehensive systemic protocol. A comprehensive protocol usually contains these components: dietary and lifestyle changes; supplements that aid in biofilm disruption, like NAC, serrapeptase, lactoferrin and others; Supplements that block the mTOR, COX and LOX inflammatory pathways, as well as adding in those that stimulate the AMPK pathway. Mix all ingredients together in a small bowl. This is only enough to make a paste for use on a test spot. let it sit on the skin for 15-20 minutes and then rinse. Do not apply again until you see how the area reacts over the next 24 hours. If more inflammation or irritation develops, stop applying the paste. If you get relief, you have a potential tool to use as needed. This bath not only possesses palliative properties, it possesses restorative properties as well. This magnesium bath is a staple in our household, being done 2-3 times every week, and with my patients as well. From handling simple body aches and pains to combating various skin conditions, to supporting those with cancer, autoimmune diseases, low thyroid, restless leg syndrome, chronic fatigue syndrome, fibromyalgia, Parkinson’s, ADD/ADHD, migraine headaches, plantar fasciitis and many others health conditions. If you have ANY problems with your teeth or gums, they need to be handled as soon as possible! I can’t stress enough how dental caries, gum disease or infection, of the oral cavity, make it near impossible to heal from any chronic body ailment – of any kind, in any location!